I have a new favorite breakfast: Instant Oatmeal Jars. I can have absolutely any combination of flavors I want. 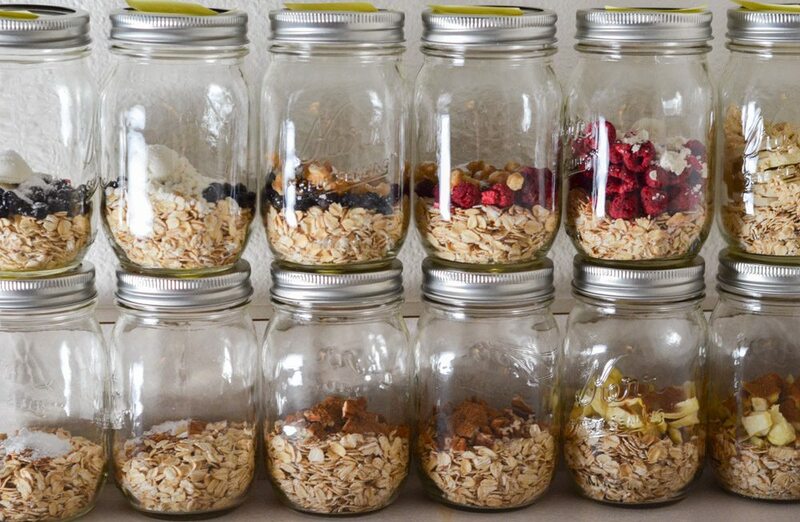 These breakfast oatmeal jars are amazing! While I found the basic idea on Pinterest, it took some testing before I found the flavors I really liked. But finally, after a long process of testing, I have some amazing combinations for you! Plus, I’ve calculated the calories for all of them for you. Yes, really. This is a fairly long post, so bear with me. It’s all good information! 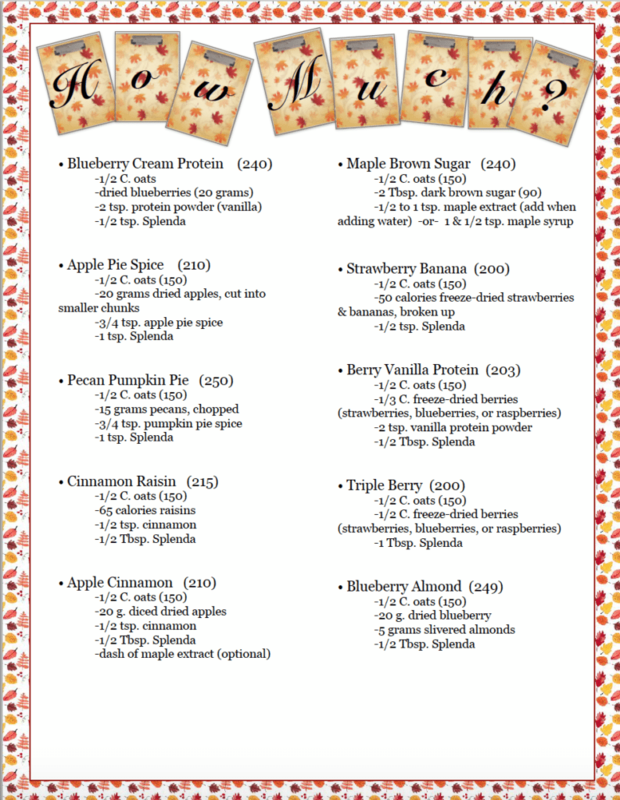 I’ve also included a free printable of all the flavor combinations (including the calorie counts). Because I’m just nice like that. (haha). For the printable, all of the files are in pdf below. Or click on the image. It will open in a new window and you can either print directly or save to computer. 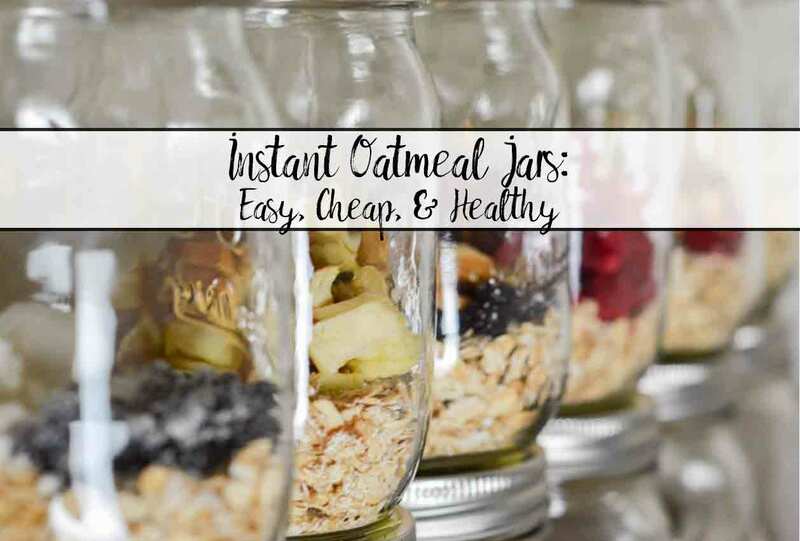 ***Update- If you find the post below interesting, you might be interested in “Fall Oatmeal Jars: Easy, Cheap, Pick Your Favorite.” That post includes some new FABULOUS flavors (in fact, I like them better than the ones below). 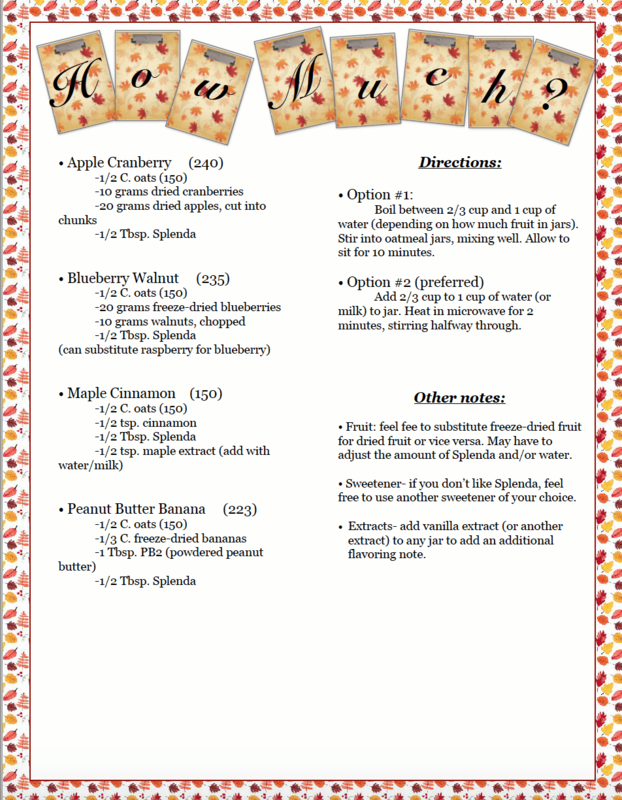 In addition, it includes a printable version of all the recipes along with a blank printable for writing your own! • In mason jars, make sure you use pint; you’ll need the extra space as the oats swell up. This is the option I use because I can cook them right in the jar and don’t have to mess with little baggies. 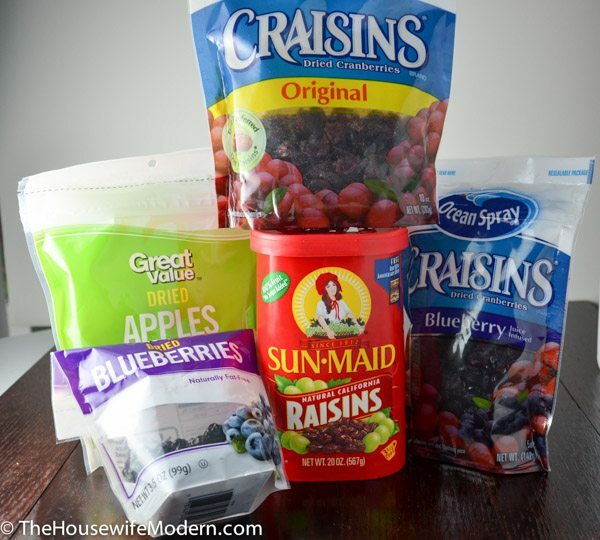 • You can store in little snack-size plastic baggies. Then pour into a bowl in the morning and follow cooking instructions. • Preferred method: add between 2/3 cup and 1 cup of water or milk. Heat in microwave 2 minutes, stirring halfway through. • Boil between 2/3 & 1 cup of water (depending upon how much fruit in jars). Stir into oatmeal jars, mixing well. Allow to sit (covered) 5-10 minutes until oats cooked. 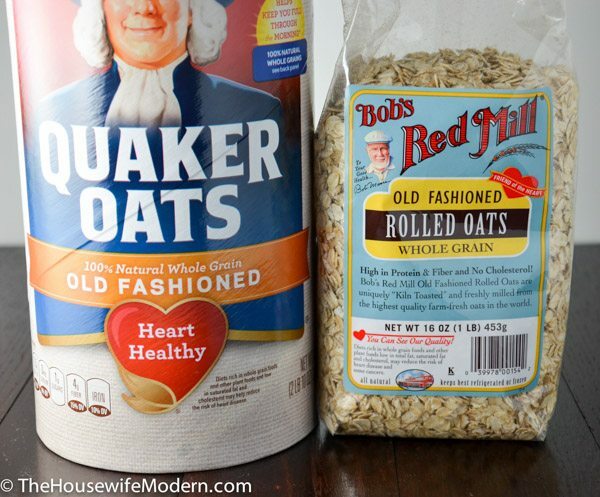 You can use any quick-cooking oats. I recommend Quaker, though. 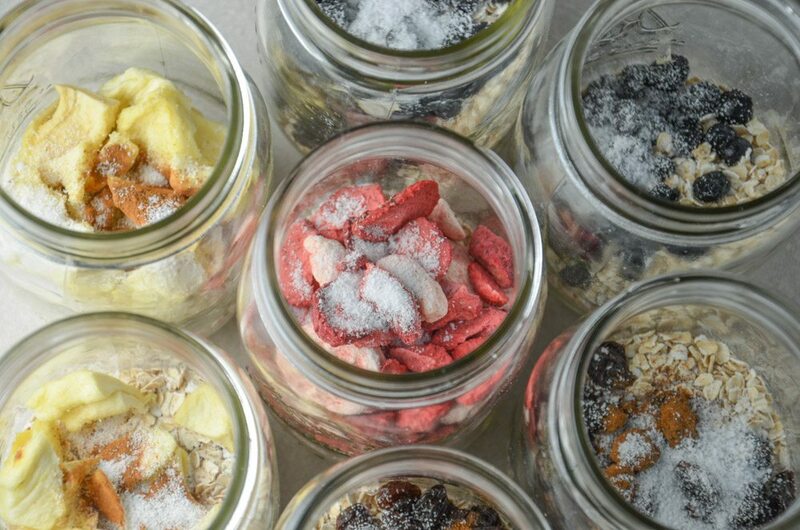 Freeze-dried fruit works wonderfully in these jars! They fluff up and are very filling. Dried fruits are another great option in the jars. Cheaper than freeze-dried fruit options. Splenda- benefit of zero calories, but some people don’t like the artificial ingredients. Many of the recipes below use it. Brown sugar, use 1 & 1/2 tsp. in place of Splenda below & add 25 calories per recipe. Maple sugar- runs approx. $20 a pound, and can only find on Amazon. If you want to invest the money, feel free. I did not. Freeze-dried fruit: this is the best option, but they can be hard to find and are fairly expensive compared to other fruit. I had to go to Trader Joe’s to find them. To balance out the price, maybe one in five of breakfast includes freeze-dried fruit. 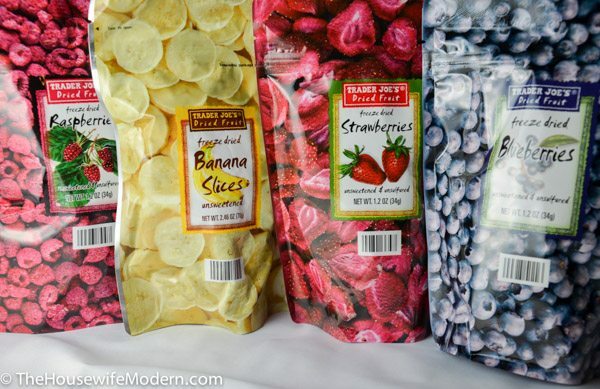 Dried fruit- any and all. Mix and match to find what you like. Nuts- any and all. Mix and match to find what you like. Powdered vanilla is a good one. But it is much too expensive. If you want to invest, feel free. I’ve heard good reviews. But part of my site is saving money. So instead, I tried out two other option: vanilla protein powder and dried instant vanilla pudding powder. The pudding powder works all right, but the protein powder was better. In fact, it was great! I used the Muscle Milk vanilla. 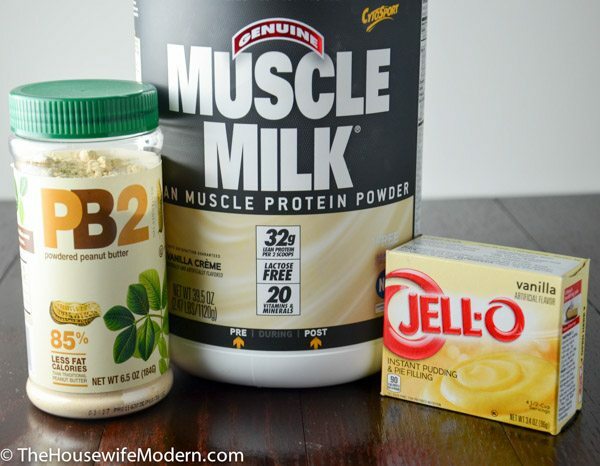 If you don’t want to use protein powder, substitute 10 grams of pudding powder. PB2- dried peanut butter. Sounds weird, but tastes all right. Extracts- if you don’t mind the extra step of adding a little bit of extract with water, this is a great idea. Vanilla is great, especially if you have good quality vanilla. My two FAVORITE flavorings are pumpkin pie spice and apple pie spice. I have posts for both of them on how to mix your own homemade (trust me, much better than store-bought mix). 2 Weeks Worth of Breakfast! As I said, I tested quite a few. However, there was one I didn’t like and a few that I didn’t try (because I’m not a fan of the ingredient in general). But this is a personal preference- you might love them! Monkey mix: 150 cal. oats, 1/4 cup freeze dried banana chips, 1 Tbsp. coconut flakes, 1 Tbsp. dark chocolate chips. Cranberry orange pecan- 150 cal. oats, 2 Tbsp. dried cranberries, 1 tsp. dried orange peel bits, 1 Tbsp. chopped pecans. Cherry almond- 150 cal. oats, 2 Tbsp. dried cherries, 1 Tbsp. slivered almonds. As I said, I found the basic concept on Pinterest. The two following sites have some additional recipe combinations, and make them a bit differently. If you’re looking for more options/info, I suggest checking them out! Great post! Very thorough. Thanks for sharing! 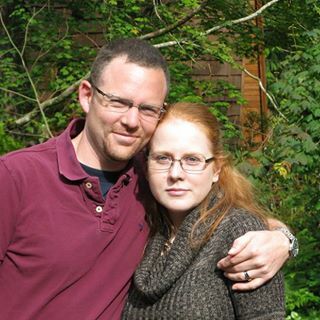 Thank you for stopping by and for taking the time to comment. I tried to be thorough…but there are so many options! Let me know if you find some new combinations that work well.